Europe might be famous for its medieval fortresses, but that doesn’t mean the rest of the world doesn’t have beautiful castles worth traveling for. While you might think castles are strictly for kings and queens, all a building needs to be a castle is fortified walls, towers, and maybe a moat. From the ancient fortresses of Alexandria to the more recently constructed mansions of California, these castles outside of Europe are historic and worth visiting in their own right. On the other side of the Mediterranean, the Citadel of Qaitbay is a sand-colored medieval fortress that was built in the 14th century to withstand attacks from the Ottoman Empire. 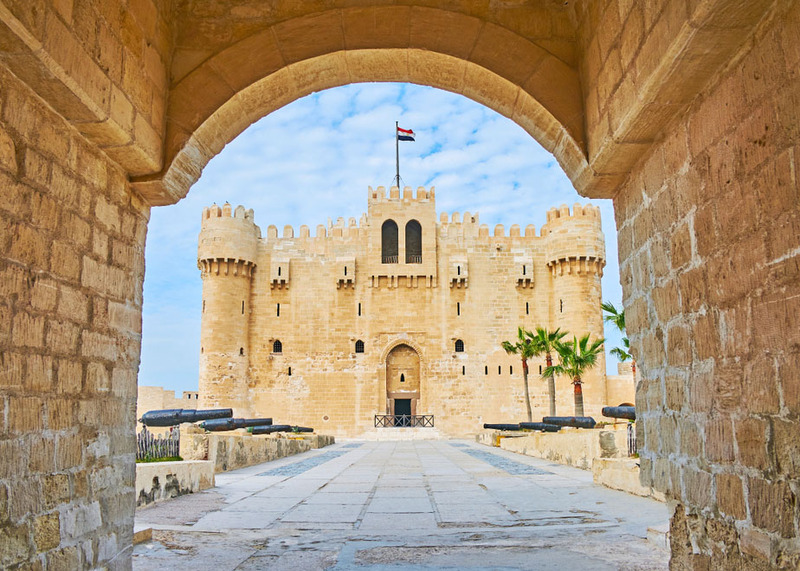 Aside from being one of Egypt’s most important strongholds, the citadel also sits on the site of one of the Seven Wonders of the Ancient World—the lighthouse of Alexandria, which was destroyed by a major earthquake. Although the Ottomans did seize Alexandria shortly after the citadel’s construction, the fortress still stands, and it makes a grand impression on the skyline of Alexandria with its turreted towers overlooking the sea. 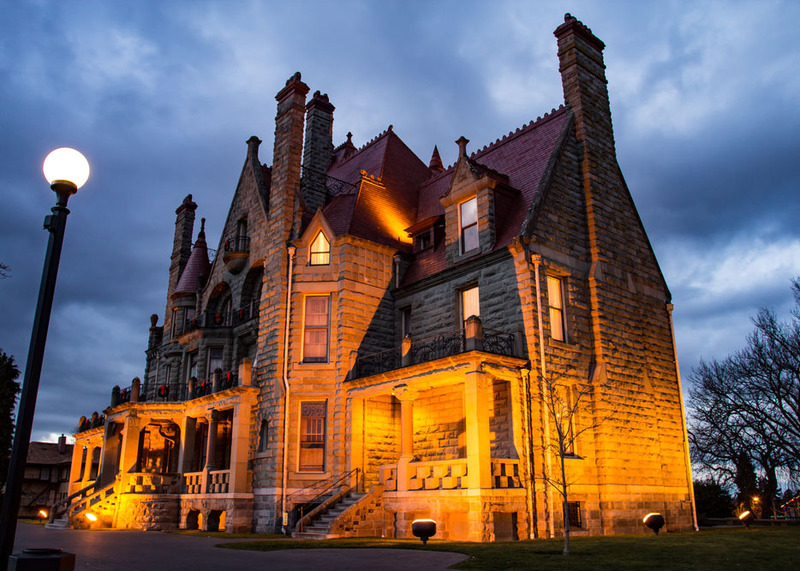 Built by an oil baron in the late 19th century, Canada’s Craigdarroch Castle is a glamorous sight. This Victorian-era mansion is considered “a bonanza castle,” which refers to the massive homes built by wealthy industrial-age tycoons. What the castle lacks in historical depth, it makes up in towers and fairy-tale features like Romanesque arches and stained-glass windows. It’s a must-stop for any architecture lover traveling through British Columbia. 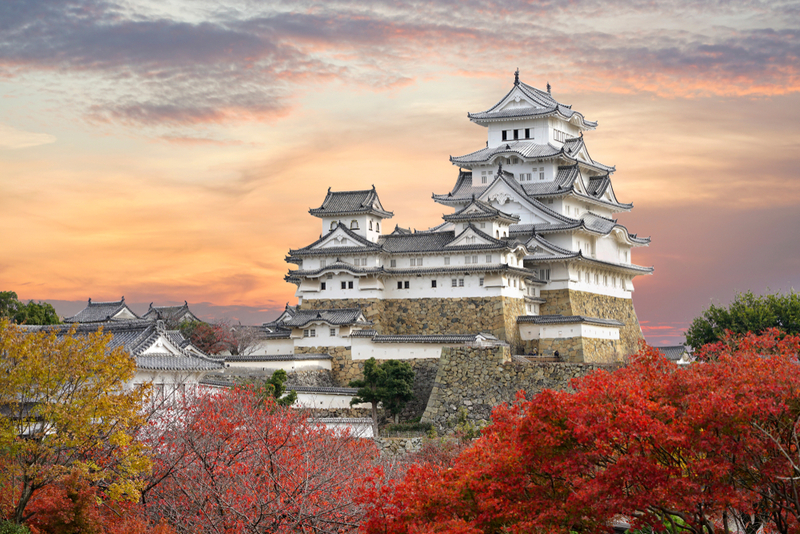 From Kyoto, you can take a day trip to visit the most beautiful castle in Japan—Himeji Castle. With five stories of elegant decoration and exquisite details, this castle is a remarkable sight rising above the horizon. As you explore the castle grounds, you’ll learn about its complicated and confusing design that was meant to disorient and trap intruders. Himeji Castle is also one of Japan’s best places for cherry blossom viewing, though at this time of year, it can get very crowded. 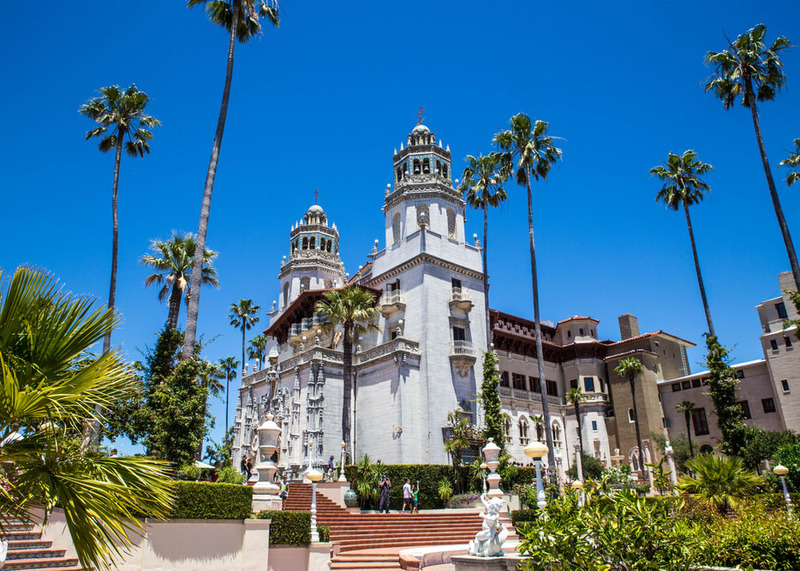 In Central California, Hearst Castle is an American landmark that played host to Hollywood stars and major political figures of the 1920s, from Charlie Chaplin to Winston Churchill. For movie buffs, Hearst Castle might look familiar; it was built by William Randolph Hearst, whose life as a newspaper magnate inspired the film Citizen Kane. Located smack-dab in between Los Angeles and San Francisco, this glamorous castle and its grand halls are a must-do on any California road trip. There’s so much to see on the property, from the vast wine cellar to the enormous indoor and outdoor pools. You can even see the site of what was once the largest private zoo in the whole country. If you’re lucky, you might be able to spot some of the wild descendants of the zoo’s zebras wandering the grounds. One of Bangkok’s main attractions, the Grand Palace sits at the heart of the city, piercing the skyline with its eye-catching golden spires. For 150 years, this castle was the main residence of the Thai king, who lived in an inner complex that functioned like a small city. Despite its distinctly Thai roof, the palace also has elements of European-inspired design that are more castle-like, such as the fortified walls and the spacious reception rooms. 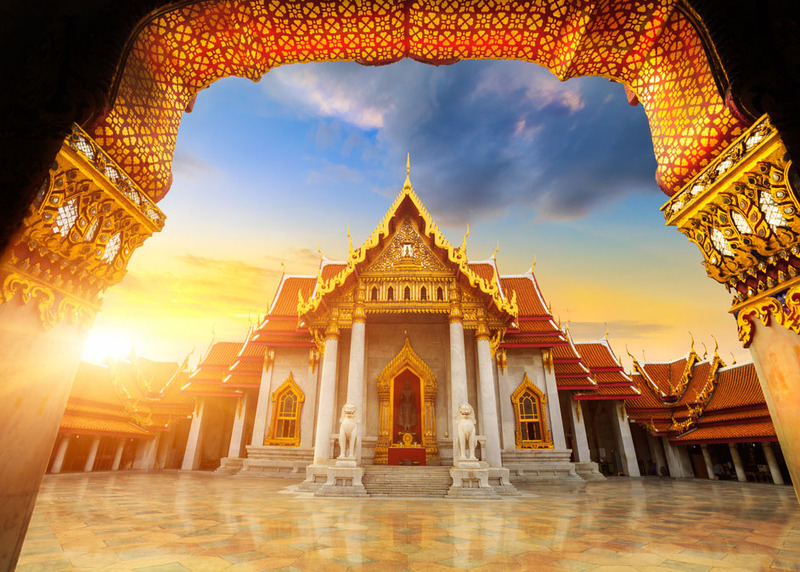 Don’t miss the palace’s biggest draw—the Temple of the Emerald Buddha, one of the most sacred Buddhist temples in all of Thailand. The statue itself is quite small at only 26 inches high, but very impressive considering it is carved out of a single piece of jade. Its cloak changes with the seasons during a special ceremony. Because no one is allowed to touch the Buddha except for the Thai king or the crown prince, the king himself performs the ceremony three times a year. 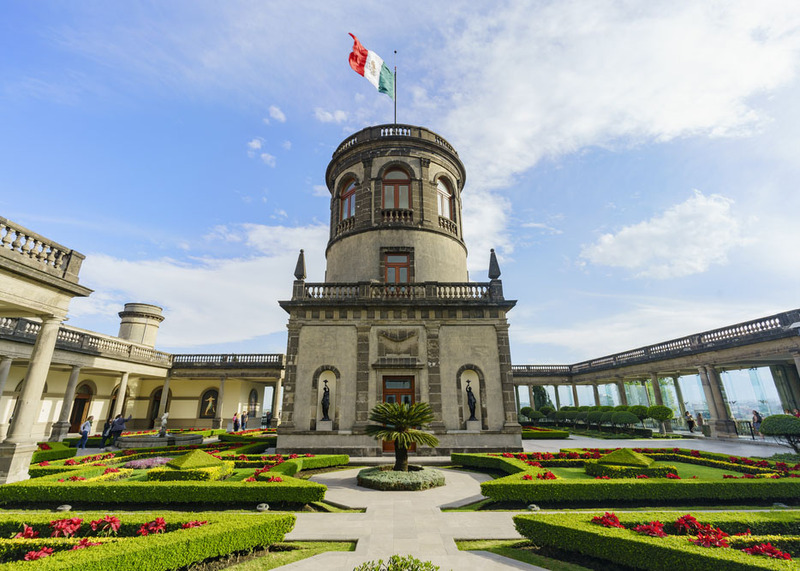 Unlike other beautiful castles in North America, Mexico City’s Chapultepec Castle was once home to real royalty. Built during the colonial period by the viceroy of New Spain in 1833, the castle has had an eventful history. It was the site of major battles during the Mexican-American War, the home of an emperor, an observatory, a military college, a guesthouse for foreign diplomats, and even a film set in the 1995 film Romeo + Juliet. Today, the castle is the seat of the National Museum of Cultures and is open to visitors who wish to tour its gorgeous and storied halls. 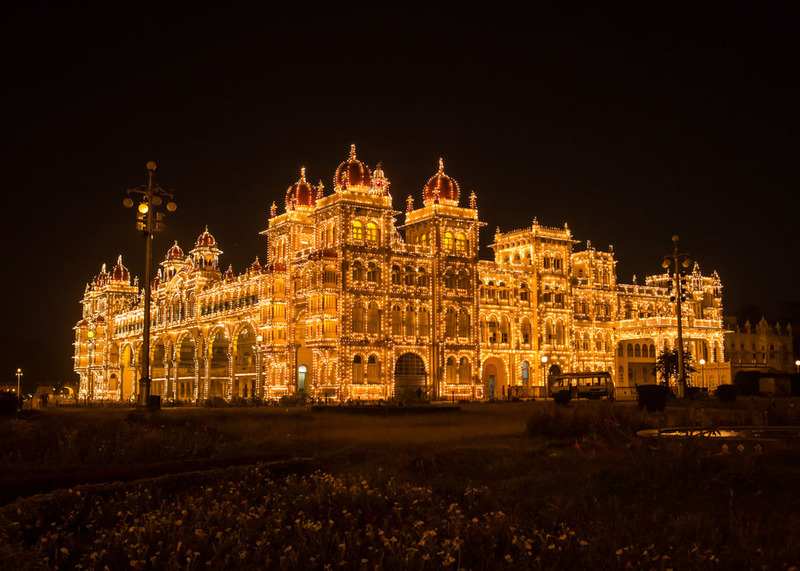 The city of Mysore is often described as the “city of palaces,” but to visit the grandest of them all, head to Amba Vilas Palace in the Old Fort. This is the second-most popular attraction in all of India after the Taj Mahal, and it’s easy to see why. Surrounded by intricately carved Hindu temples and filled with colorfully decorated halls, there is so much to see on a tour of the palace. If you visit in October, you might even get a chance to see the rare appearance of the golden throne. The seat of Mysore’s former rulers is only put on display for the public during the Dasara festival. During the rest of the year, the throne is disassembled and its pieces are kept in separate lockers inside the palace. If you’re in Mysore on a Sunday evening, don’t miss the weekly light show that showers the palace in golden light.